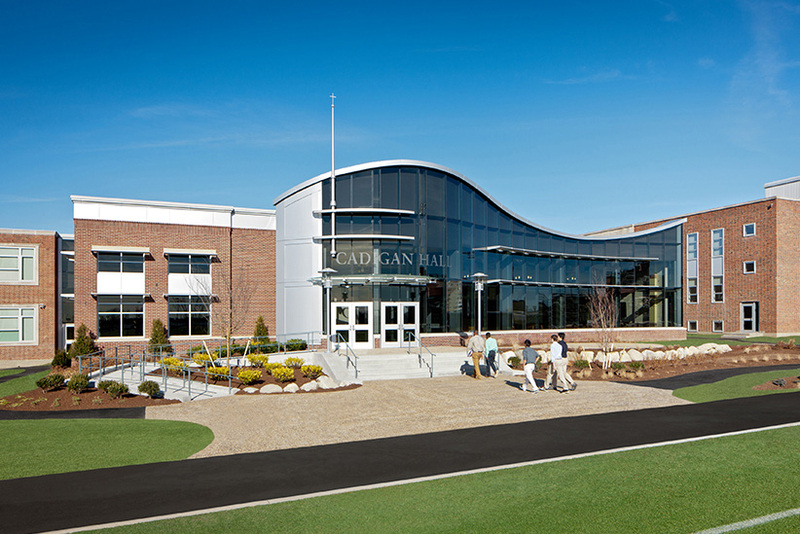 Boston College High School selected Ai3 Architects to design their new Patrick Cadigan Center for Academic Excellence. The project includes the design of a new 30,000sf addition and renovation of surrounding areas within the existing building. The new addition will be neatly integrated into a former outdoor courtyard space and will include art facilities, music classrooms, a drama performance studio, academic classrooms, a group instructional theater, a practice gymnasium, and a student and alumni socialization area. The primary area includes a two-story glass atrium overlooking the playfields and the harbor, capturing one of the campuses most dramatic views while simultaneous creating an indoor/outdoor transitional space for students and alumni. The project also provides a green/sustainable component, providing students with an understanding of the importance of environmental consciousness in the built environment. The project included an early capital campaign, with Ai3 developing photo-realistic imagery in the form of fly-through and fly-around animations.